'Time and tide waits for no-one' the saying goes; I'd like to add soufflé to that list. 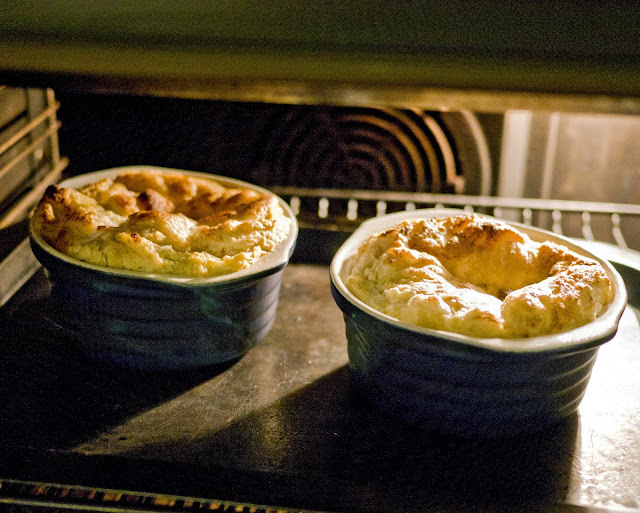 As soon as I opened the oven door the soufflé started to sink and by the time I'd brought them to the table they'd gone down a couple of inches. They still tasted nice though. Cook the rhubarb with as little water as possible until mushy, then add sweetener to taste. Whisk the egg whites until stiff and gently fold in the rhubarb. 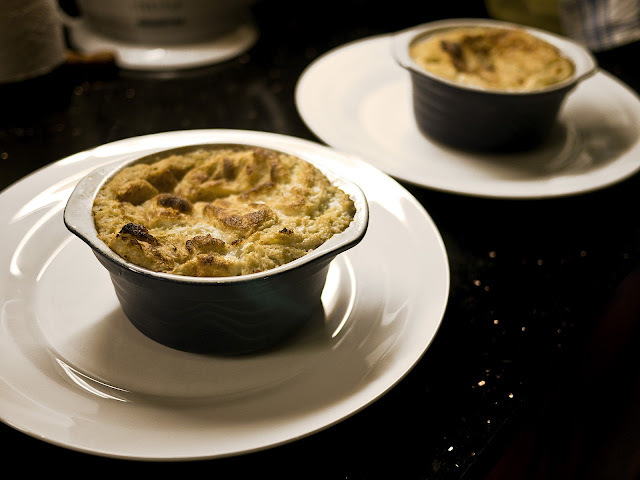 Bake the soufflé in individual dishes for ca 20 minutes or so until cooked through – it's very difficult to judge when it is cooked as you can't open the door and stick a skewer in it to see if it comes out clean. You just have to keep an eye on it and hope for the best.